DuBois Center is the Camp and Retreat Center of the Illinois South Conference of the United Church of Christ. In 2015, we celebrated 50 years of ministry. Nestled amidst 308 wooded acres, two shimmering lakes, open meadows and countless trails, DuBois Center is a great escape for all ages. Our wide range of programs attracts campers with various interests and from numerous faith traditions and communities. This is our gift to you! From Ash Wednesday to Easter Sunday, we hope these words and photos can be part of your Lenten journey. Though written to celebrate DuBois Center and Green DuBois, this piece speaks to all who find comfort, wisdom and challenge in God’s creation and word. We hope this resource is a blessing to you during the coming weeks. Click to read or download the entire resource in week by week segments. Please feel free to share this gift, but please give credit where credit is due. For details see the Forward/Intro. 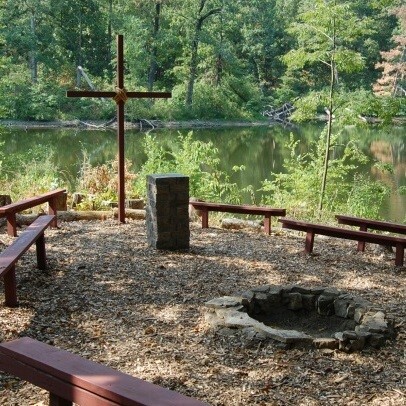 DuBois Center was established in 1965 as the Conference Retreat Center and Summer Camp of the Illinois South Conference of the United Church of Christ. Learn more about our history. 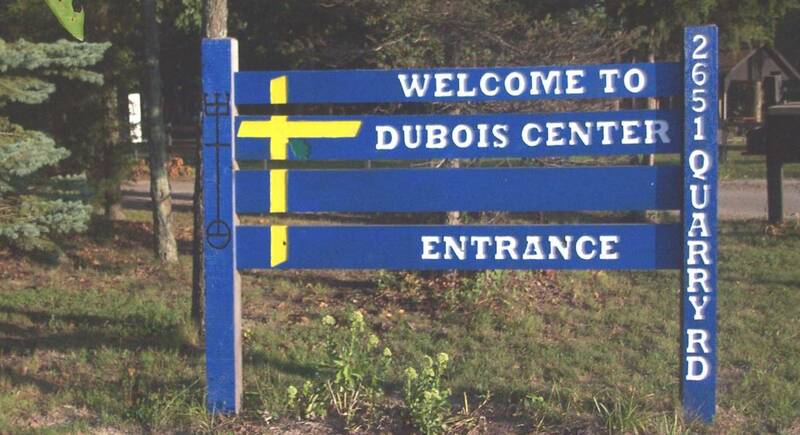 DuBois Center is the camp and retreat center of the Illinois South Conference of the United Church of Christ. We have served the people of Southern Illinois, the Greater St. Louis area and beyond for more than 50 years as a place where people of all ages and faiths can learn more about themselves and the world in which they live. Our lodges and cottages are located on the shores of our main lake amidst over 300 acres of woods, pastures, and wildlife. We provide our guests with a comfortable retreat environment, a well-maintained camping & retreat facility and delicious home-cooked meals. Learn more about our facilities. Our staff is full of dedicated, caring individuals who are excited to live out DuBois’ ministry and mission in their daily lives. DuBois Center would not be what it is without the fantastic people behind the curtain. Learn more about our staff. Faith Formation and Christian Education: Whether during our summer camps and seasonal retreat or your church or group retreat, opportunities to grow in one’s faith abound. Nature’s Classroom: Experiential education and community building for school groups. Recreation: Horseback riding, canoeing, hiking, swimming, fishing, team building, teams course, Gaga, campfires, hay rides and more. Nature Study: Utilize our diverse eco-system, including the lakes, creek and trails to get closer to nature than ever before. Spiritual Retreats: Faith and Fellowship – take time to focus, reconnect and relax. Retreat Center: Meeting spaces for your church or community group.